An ultra rare repeat of the Orange Skies Rainbow colourway that I dyed occasionally from 2012-2017. 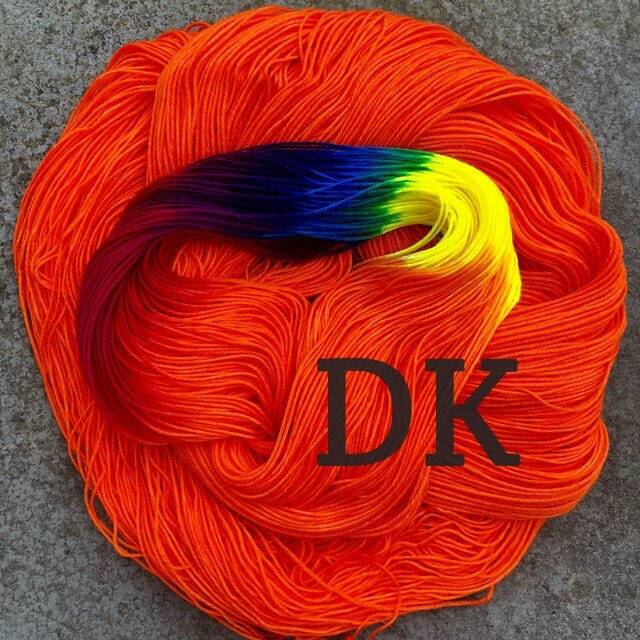 It is superwash treated DK weight (light worsted) yarn with 75% merino wool for softness and warmth and 25% nylon for enhanced durability. It is suitable for approximately 4-5mm needles. About 225 metres per 100g skein.